The best spas in the US are spread out across the country, but what they have in common include soothing atmospheres, pampering treatments, activities, and sometimes even delicious food and wine. They offer you a place to wind down while being treated like royalty, and they provide the privacy you crave. Spa Space in Chicago, Illinois has been featured in O Magazine and it's also been listed not only in Allure's best spas across the country directory, but is also included through their Best Body Treatment in Chicago (the Pineapple Papaya Pacific Paradise treatment). Other mentions include a quote from the owner, Natalie Tessler, in the Chicago Sun-Times when she said, "This is about serious pampering." Shape Magazine also said the Mango-Pineapple Enzyme Manicure is a must-try. There are treatments for men and couples, massages, manicures, pedicures, waxing, pregnancy pampering and more. Four Seasons Hualalai Kona in Ka'upulehu, Hawaii is also recommended by the Five Star Alliance and has earned awards such as the AAA Five Diamond award, Condé Nast 2004 #1 of 20 Top Resort Spas, Travel and Leisure #1 Best Resort Spa in the US and Canada, #1 World Best in Hawaii, and more. Experience outdoor massages in the garden, snorkel, go for a jog, or go to a nearby site where you can ride horses, bike, boat, or enjoy the mountains. The resort is kid-friendly and you can take pets that weigh 20 pounds or less. Auberge Du Soleil in Rutherford, California is recommended by the Oyster because of its proximity to Napa Valley, its incredible views, French Mediterranean dining, fine Italian linens and private terraces where visitors can unwind and dine in peace. The biggest draw to this spa is the superior pairing of foods and wines, but there's no lack of plush robes or relaxing activities like tennis, horseback riding, fishing, golfing, hiking, swimming, winery tours, massages, facials, and more. The Mayflower Inn and Spa in Washington, Connecticut also made Forbes' Travel List of best spas of 2010. It was also voted number two by Condé Nast's travelers. Good Morning America with Travel and Leisure voted it the Number One Spa in America. Sample treatments and activities include facials, soul enhancing rituals, meditation, scrubs and soaks, massages, hair removals, haircuts, yoga, pilates, hiking, archery, and more. The Spa at Mandarin Oriental in Miami, Florida made Forbes' Travel List of best spas of 2010. Enjoy single or couples massages in private cabanas. Do yoga, pilates, Tai Chi, belly dancing, or work with a personal trainer. Get a manicure and pedicure. Soak up the Asian-inspired atmosphere as you relax in the lounge before or after your treatment of choice. 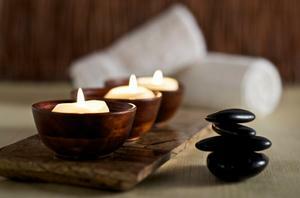 You may even be interested in entering the 70 hour program in which you learn Thai massage. Nusta Spa is featured in Spa Magazine and offers good-for-the-environment "green" interiors. The spa has been accepted into the United States Green Building Council's Leadership in Energy and Environmental Design pilot program. The name of the spa means "royalty" in a South American language called Quechua, and they treat you like that, from the music selection during your massage to how much talking you prefer during the service. Even the temperature in the room is shifted based on your needs. You can visit for body care, skin care, manicures, pedicures, massages, hair removal, sunless tanning, and even special eyelash interests.